The last time I made my flourless cake, I realized that I should find out what whipping cream stabilizer was. I always choose not to use it (honestly I had never heard of it until recently). I found out that plain gelatin can be used and that it will truly stabilize the whipped cream and it will hold it's shape longer. I always refrigerate my cake right away and the cream stays nice for a day or two, but the cake is soon eaten so maybe stabilizer could help if we didn't eat something right away. I found out that gelatin makes a good stabilizer, and it is so easy to use. You simply take a teaspoon of unflavored gelatin and stir it into about 4 teaspoons of water. Let this sit for about five minutes. Then microwave it for about 8 to 10 seconds so that it becomes liquid. begin beating your cream and add the sugar and gradually pour gelatin into cream. Continue beating and frost your cake or whatever you plan on doing with the cream. I learned that gelatin is made from skin, cartilage and bones of animals so it is definitely not vegan. Gelatin is used in many candies and of course gelatin salads. If you are vegan you will want to check labels of these products. There are some health benefits to eating gelatin. 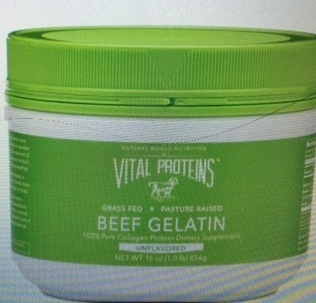 When you are purchasing gelatin, try to get gelatin that is obtained from healthy grass or pasture fed animals. Gelatin is a protein containing 8 amino acids. 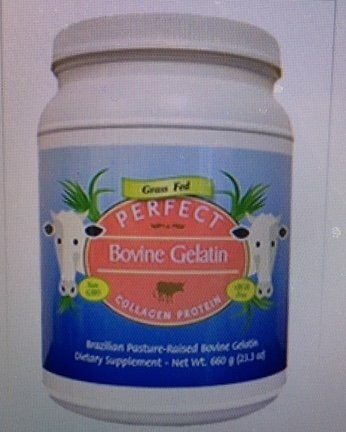 Gelatin has collagen and many people believe that is is good for arthritis and other joint related diseases. 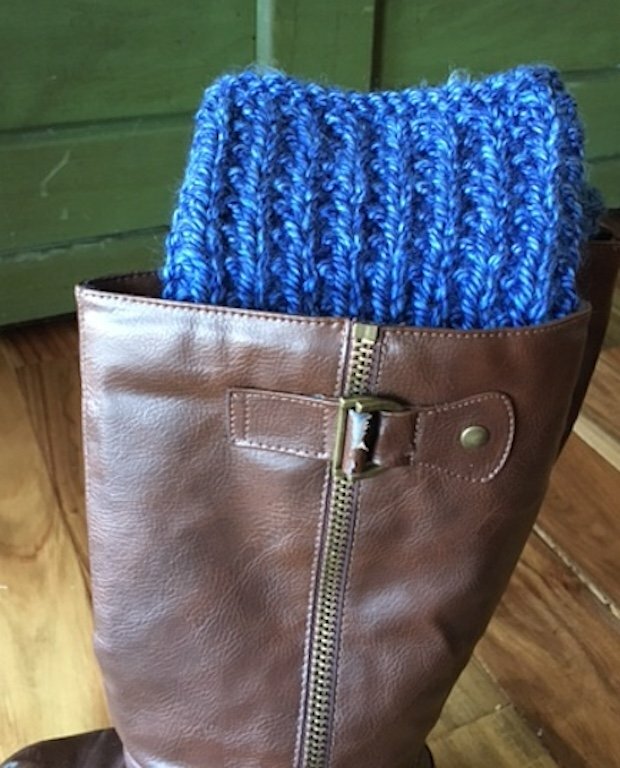 I am sure there are more uses, but these seem to be the most well-know. 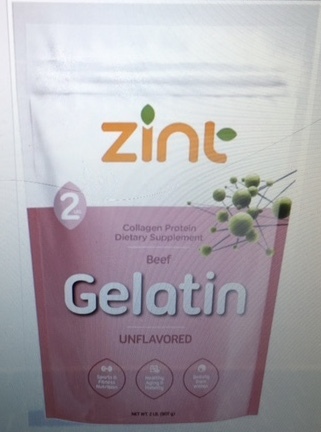 Gelatin appears to be a healthy supplement for the body and adds collagen to the diet. There are so many ways to take gelatin. 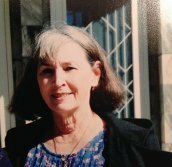 Be sure to read the label for instructions on using gelatin. Just make sure to look for pasture or grass fed on the label. Click on the pictures for a better view. 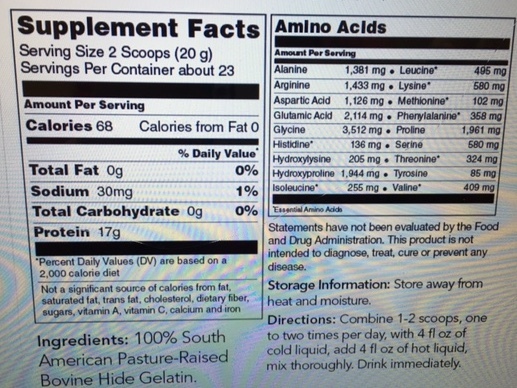 A closer view of the label gives you a list of the important amino acids found in gelatin. 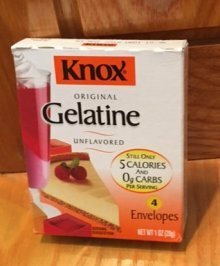 For years, I have thought that unflavored gelatin was difficult to work with, but it is so easy. 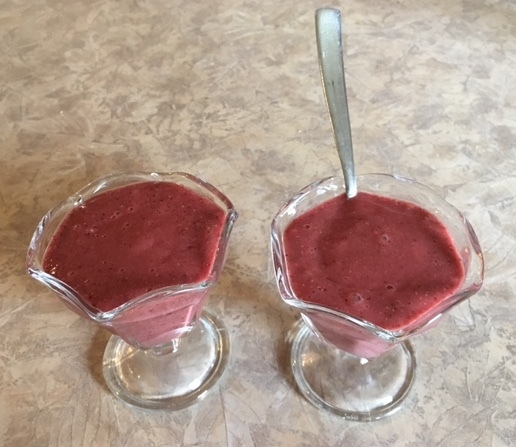 This gelled smoothie tastes like a fruit mousse. 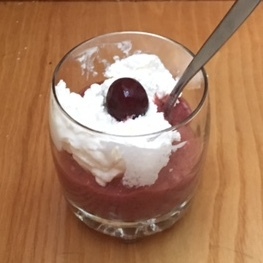 One of my children put cream on top of hers with a cherry. I prefer the pecans. It is good any day of the week, not just on cheat days. 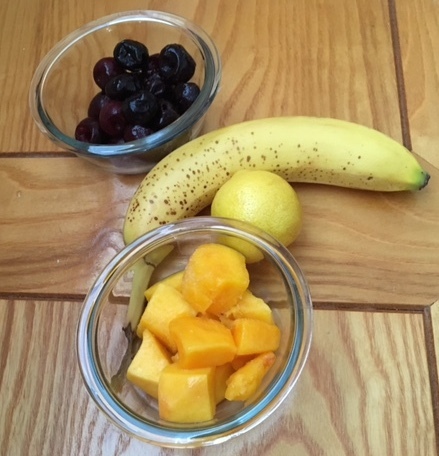 Cherries, banana, and mangoes sweeten the gelatin and lemon juice to brings out the flavors. add a couple tablespoons of a healthy sweetener if you like. I love this as it is. This is more like mousse than it is jello. 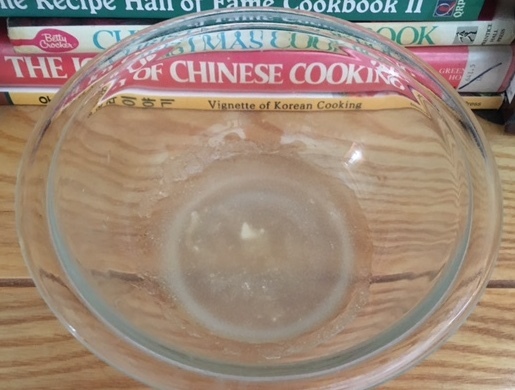 Put 1/4 cup water in a bowl and sprinkle the gelatin on top. In two minutes it will be ready. While this is dissolving, put cherries, mangos, banana, and lemon juice into the blender and choose smoothie cycle. Blend. You may add sweetener if you desire. Next, put gelatin in the microwave for 10 seconds to liquify it. 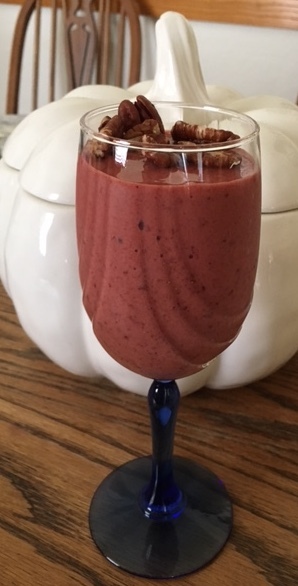 Then turn on your blender and let it work while you slowly add gelatin to smoothie mixture. Pour it into 2 serving dishes. It will be set and ready to eat in just a few minutes. Sprinkle gelatin on water or juice to soften. Let sit a few minutes. Put remaining ingredients into your blender container and blend until smooth. Put softened gelatin into the microwave on high and cook for 10 seconds or until dissolved. While blending, add gelatin slowly to ingredients in blender. Pour into serving dishes and refrigerate until set and cold. Garnish as desired.